KREYOL: Sou zafè deportation Haitien nan St Domingue, Amnesty International fèk mete yon raport deyò... Download/Telecharge raport a... Kisa ou panse de sa??? Telecharger/Download the report here: "Where are we going to live?" Migration and statelessness in Haiti and the Dominican Republic. 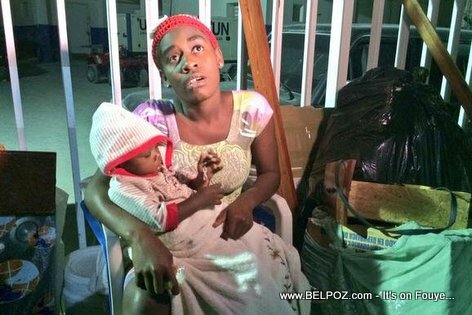 According to the report more than 100,000 have been deported from the Dominican Republic to Haiti and out these people, thousands of them are actually Dominican citizens deported to Haiti. "Since arbitrarily stripping thousands of Dominicans of Haitian descent of their nationality, Dominican authorities created a human rights crisis that is leaving tens of thousands of people in an absolute and desperate legal limbo." Download the report here: "Where are we going to live?" Migration and statelessness in Haiti and the Dominican Republic. Well, well, well....Another misleading report with hidden agenda. Anywhere in the world where you are ilegal you are subject to deportation.